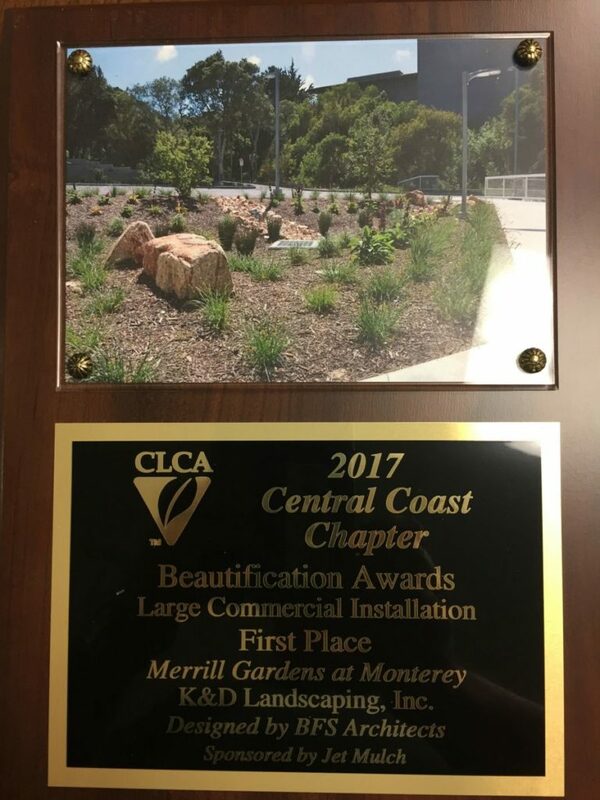 Rencently, Merrill Gardens at Monterey received First Place for Large Commercial Installation in this year’s California Landscape Contractors Association (CLCA) Beautification Awards! The CLCA is a non-profit trade organization of state licensed landscape and landscape-related limited specialty contractors. It promotes professionalism and advances awareness of the landscape industry. The Central Coast Chapter was founded in 1973 and currently includes 122 members in Monterey, Santa Cruz, San Benito and southern Santa Clara counties.